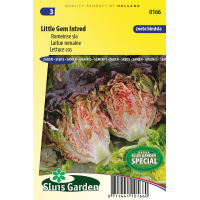 Little Gem Intred is a red selection from the extremely well-known mini Romanian lettuce Little Gem or Sucrine. It is also described as “a combination of head lettuce and cos lettuce”. It is a very compact plant with a beautifully fi lled heart, from where only the very short and sweet centre leaves are off ered (the inside crop). 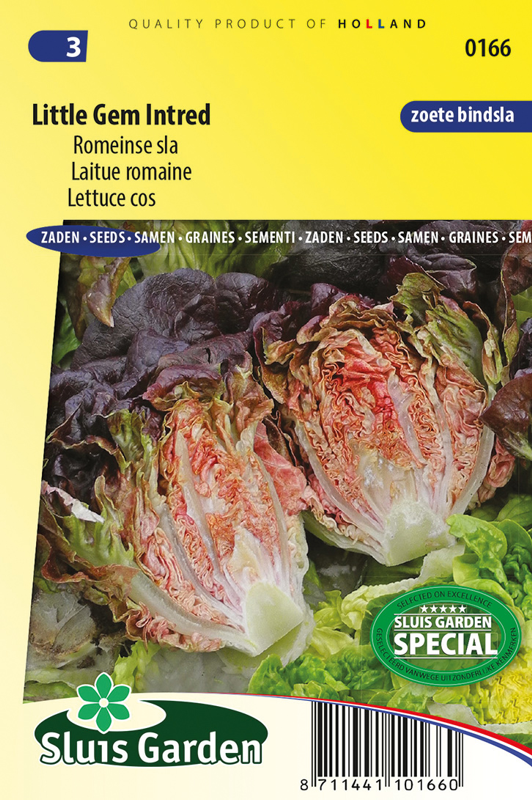 Intred has thin veins and relatively thick leaves, which are juicier, crisper and have more “bite” than the original Romanian lettuce. The English also call this type Sugar Cos: sugar because of its sweetness and Cos because of the fact that the Romanians discovered it on the Greek Island Kos. Little Gem Intred is partially resistant to mildew and is subsequently well-resistant to other deseases.